Waking up or coming home after a long, busy day with the thought of calming down only to realize your room isn’t calming you, either. Whether it is a mess or isn’t making you feel at home and relaxed, there is a way you can prevent that from happening again. As I experienced it too, I made a couple of changes and I am planning on making more and in this article those changes I have made and want to make are written down and explained. So read further & relax! Adding plants to your room will give it a calm vibe and, whether the plants are fake or real, natural looks. Being connected with nature is a part of your life that is vital to your happiness, peace and health and besides walking outside everyday, having plants in your bedroom or living room can help to relax and calm down your roaring feelings, a lot. Hanging up or setting down pictures of your loved ones or good memories will help a lot when it comes to making the room feel more like home. Seeing familiar faces or memories will bring you nostalgic but happy feelings and you will be able to transfer to that spirit. The room becomes more personal and turns from a room to your room! Check how many of the points you’ll read are adjusted in this beautiful bedroom! This is a well known product when it comes to calming down and well, I will talk about it too. Candles bring a huge amount of tranquility and sense of well-being to your surrounding. Plus, it has been proven to work magnificent when you’re having a moment of peace and silence for yourself and your own mind, as the flame is subconsciously calming you and the scent has that same effect. Lighting a candle (preferably of soy or beeswax) every day in the morning and/or evening when focusing on yourself and your own life will lift up your mood so much. Having white sheets & pillows is something that I personally am in love with. I noticed that when I had a printed sheet with all kinds of colors, I couldn’t fully relax and feel like my room was cleaned up. If you don’t fancy the color white or a white bed, buy sheets & pillows with a steady print, like wide stripes or dots, as this can help too. 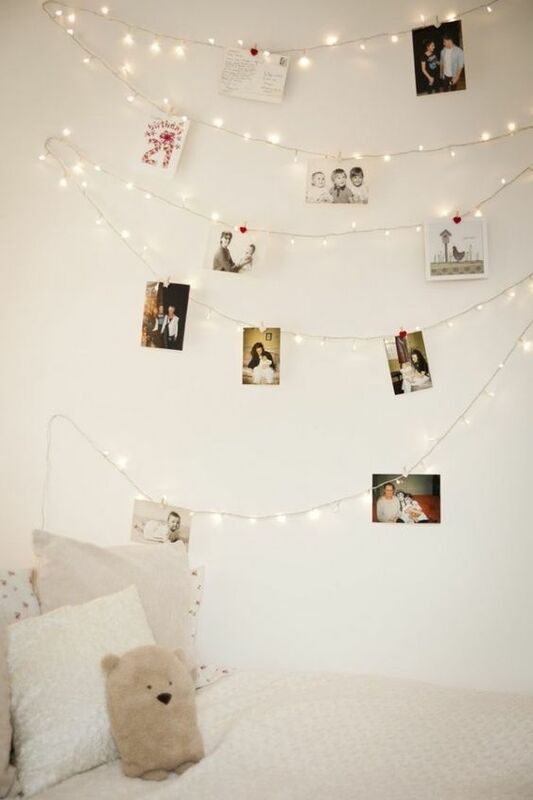 By adding small lights hanging on a string attached to your wall (christmas is calling!!) or placing adorable lamps on your desk, your room gets a lot more personal, immediately. It gives the ambiance a swipe of light and coziness and well, lights always give me nostalgic and peaceful feelings, so try it out! Drawer cabinets & closets in general have the magical power of making a room feel so clean and neat while not taking up too much space, itself. You can buy an infinite number of different drawer cabinets or closets and you can, if you do not want them to be visible, slide them under your bed if possible or somewhere else (be creative, that is healthy too!). Souvenirs make, just like pictures, a room way more personal. If you’ve bought something in that beautiful abroad city but it has been locked in your suitcase for two years, take it out and display it on your desk or in your window sill. This will give you good memories and something to look back on and dream on about upcoming events. This one kind of relates to the pictures and souvenirs, but hanging up motivational posters of quotes or your idols inspires you every day. I personally am in love with making collages with my favorite artists and quotes. Now every time I look at it and read the texts or see the faces of my idols, I get motivated and inspired to continue and work hard and to be my authentic self. Yes, that got very personal all the sudden but you get the point:). A lyric from Kesha’s song ‘woman’ hanging on my own wall! Curious where I bought it? Redbubble.com is the perfect site for these posters! Besides hanging up the pictures, posters or souvenirs, try to remain having an ’empty’ wall. Instead of taping your schedule down on your wall, buy a magnetic board and collect the most important things on there. The more closed in your room feels, the more you do as well. This sentence might sound a bit weird to you, but let me explain. Let’s say you love to play guitar, to take an easy example. But you never come around to doing it because you’re always ‘busy’ (aka being busy + watching Netflix or spending too much time online). If you display your guitar in your room where it’s always visible, you are much quicker putting actually playing the guitar to action. But why does this help you feel more relaxed? Because the things you love make you happy. It is as simple as that. I will not discuss this for long, as this probably makes sense to you. The more clothes laying around, the more stressed and panicked you will feel. It is as simple as that, too. One mistake I’ve made over the past year is that I had a bookcase with books. But books of like 10 years ago. Books I don’t even like or read anymore. I made it my goal to buy actual books that I can read now and that won’t be a waste of space in my room. So clean up your bookcase and fill it with good books! This way you will always be inspired to read and learn more and it is a nice view. If you need any inspirations for good books, read my article I wrote about 5 books that conquered my heart and will conquer yours too! Cleaning up every evening (this is the time I prefer, but feel free to adjust that) for 10 minutes, or perhaps more, will help you clean your mind and to make your feelings calm down a bit. And with cleaning up, I mean focusing on cleaning, not on just walking around and taking things to a different place. Put on some relaxing music, wear comfortable clothes and tidy up consciously. Also something to do, every morning. Making up your bed will immediately give your room a tidied up feeling and you can view your room with a more calm perspective now. Plus, you won’t get the urge to jump back into that neat bed again. Most of the people running around in a lot of countries spend 90% indoors. Besides fresh air being incredibly healthy for you, opening up your windows will help pollutants get out of your room. Pollutants can cause many dangerous diseases, directly and indirectly. For example, carbon monoxide can cause cancer if you breathe it in. Now, it is not the case that you breathe it in if you leave your window closed for an hour, but this is just an example of how dangerous pollutants can be. So open up your windows twice a day for more than 15 minutes and feel more healthy & happier! I am trying, more and more, to make my own bedroom feel like myself and like a home I want to come home to. This ‘checklist’ was thus quite useful for me, as I had to make a ‘long list’ of things you could do/buy. I loved making this list because it brought me new inspiration and I hope it did to you, too! Hopefully you are feeling motivated & have a good day! 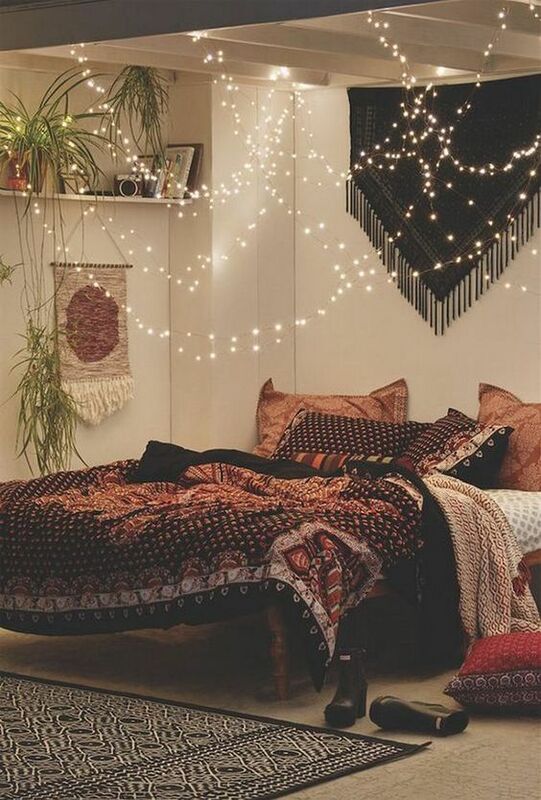 What do you do to make your room feel more like home & more relaxed? Comment below & inspire others! P.S. : do you already follow my Instagram or Pinterest? No?? Well, do it because you get notifications when a new blog has been posted and you receive extras!